This Miniature Pinscher nicknamed Jack sold and went to a new family. 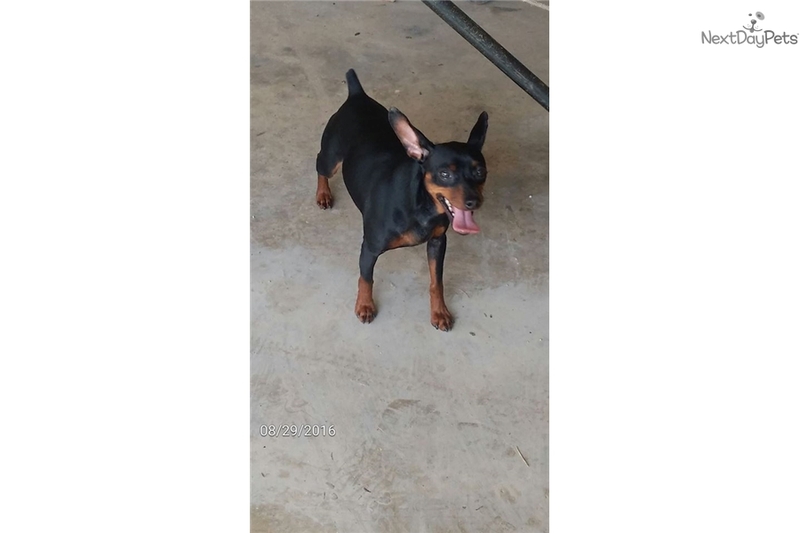 Jack is a gorgeous black and tan male min pin looking for his new family. He is crate trained, house trained, leash trained, and loves to ride in the car. He loves my children, other dogs, and even my cats. Jack just wishes to snuggle and love on you. He is a proven breeder that will need to be neutered if going to a pet home. He is available as a breeder only to approved experienced breeders, at a full registration price. Jack is fully vetted and microchipped. Ground shipping is available as is pick up.